Street Address No.311, Qingnian 1st Rd., Lingya Dist. 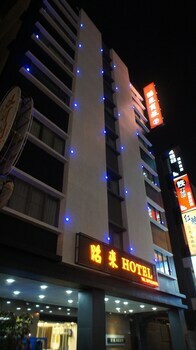 Zhao Lai Hotel is centrally located in Kaohsiung, a 4-minute walk from Shinkuchan and 8 minutes by foot from Urban Spotlight Arcade. Featured amenities include a 24-hour business center, complimentary newspapers in the lobby, and a 24-hour front desk. Limited parking is available onsite. With a stay at J Resort in Chishang, you'll be convenient to Grand View Pavillion and Dapo Pond. Free self parking is available onsite.